Yantra are implement that helps you to reach at certain destination and yantra are numerology which is hidden code and sign, yantra god and goddess are symbolized for each purpose. 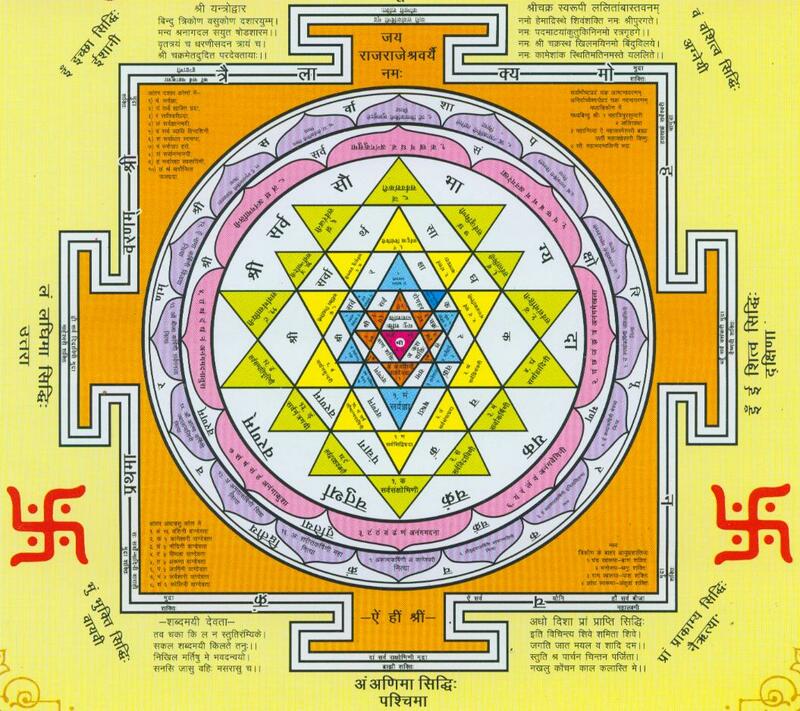 Yantra has frequency to correct and generates positive energy and to increase this energy Veda had used so many hidden codes and numbers. Yantra control mind, restrain, pressure, yantra are combination of different mantra which bring positive energy in life. There are different type of mantra which is used for different purpose, yantra helps in wealth, art money, business, career, yoga, meditation, education and all location, yantra are helpful foe remove negative energy and bad things from mind and house, it’s bring positive energy. There are different type of yantra which helps in different way, like, business, bring the person under your control, yantra energized during the Diwali, Shivratri, Holi are most effective and powerful. Each yantra used in the Vedic ceremony is an invocation, containing a sacred syllable or set of syllables. When yantra is expressed with a specific rhythm, with the sincerity of devotion and the purity of thought and action, and with phonetic of thought and action. The yantra are essential to the worship of gods, yantra are very useful in everyone life to attain success in your profession, to acquire, wealth, peace, good luck to win in court cases, by having a yantra and keeping it in a sacred places in your house , worship it every day one can fulfill ones desires and ones goals. Every person spirituality and the planets are worshipped in various form, each of these are also linked to a mantra and a vedic yantra and symbol of great spiritual secret, so one may also use an attuned yantra as a substituted or representation of an idol or the deity. Yantra can help of man in many ways, these can helpful in getting rid of deficiency, enemies. Anger, bad time, bad effect, diseases and many more. The benefit of yantra is countless. If you will bring yantra in your house at safe places, it’s fulfilled your all desire and help to fulfill your goal. It’s auspicious to see the yantra daily and one should dhoop with gee every day and should offer some flowers. Yantra should be chanted for fast result.